Wash the moong and masoor dal together and pressure cook for 3 whistles with 3 cups water and a little salt and turmeric. When done, keep aside and let the pressure release by itself. Make tadka: Heat oil and crackle cumin seeds and add asafoetida. Add the onions and fry until they are transparent. Add half the garlic and mix, cook for about a minute. Add ginger, green chilli and tomato. Add the salt and mix well. Let cook until the tomatoes are soft and mushy. Add red chilli powder and a handful of mint leaves, mix well. After about 2 minutes add this mix to the boiled dal. Mix and let the dal boil for another 5 minutes on medium flame. While the dal is boiling, add a few more mint leaves to the dal. Prepare tempering: Heat little oil and add other half of the garlic and let it fry. Add the garam masala and the remaining mint leaves. 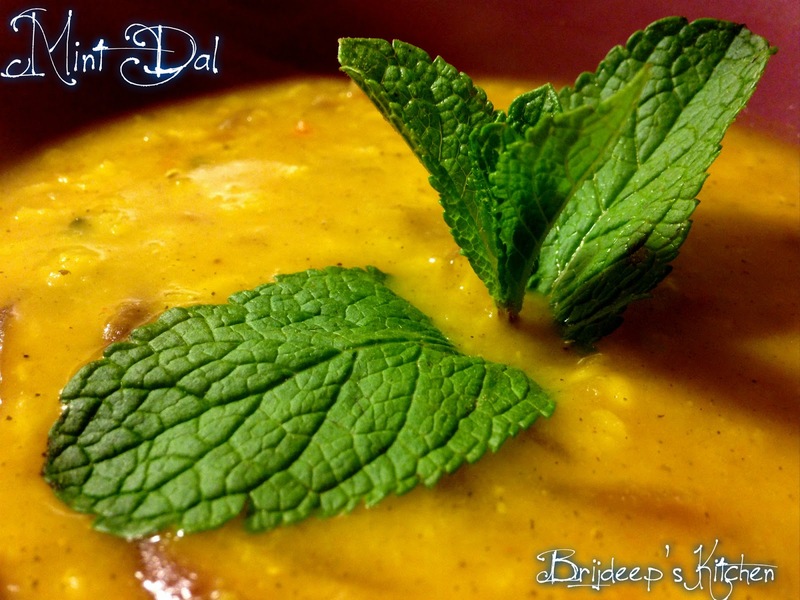 Mix well and add this tempering to the dal. Turn off the flame and cover the dal. Let sit for 10 minutes, remove cover and mix. Serve hot !! Love this recipe? Please do leave a comment and/or feedback and join me on my Facebook Page. Looking for more mint recipes? 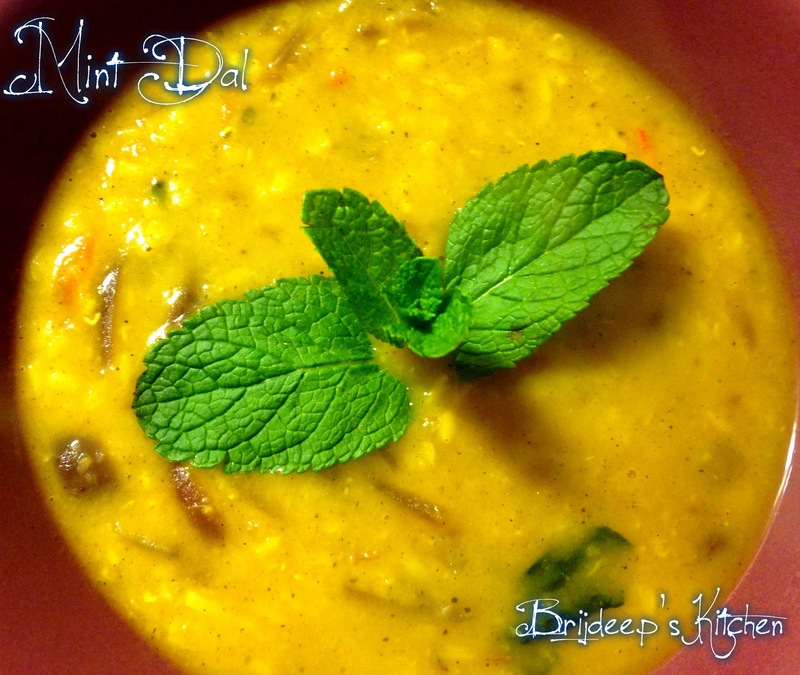 Try this Mint Rice, Pudina Lauki Masala, Mint Poha, Green Egg Curry and Mint Chicken Korma. Looking for more dal recipes? You might also like Spinach Dal, Lauki Chana Dal, Navratni Dal, Beetroot Dal and Nepali Dal. Instead of moong can I use tur dal or only one single dal?